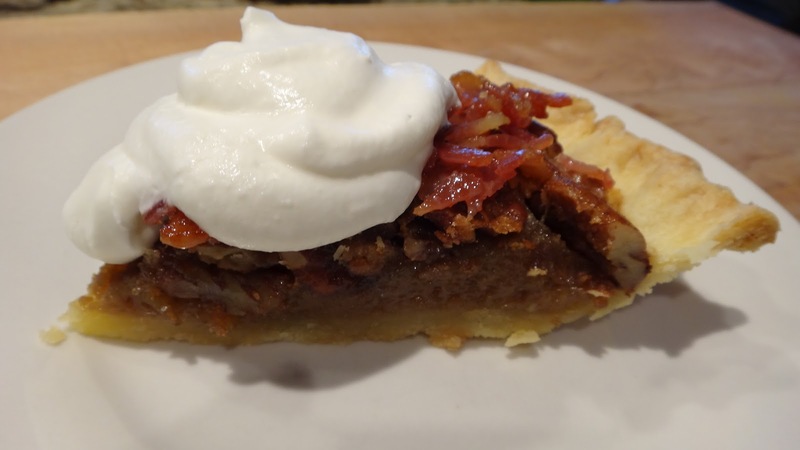 Maple syrup bacon bits on top of a bourbon pecan pie, served with bourbon whipped cream. 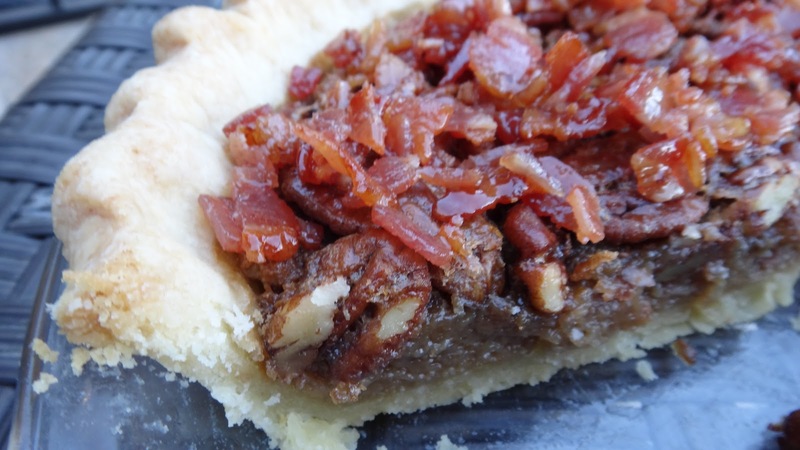 It’s rich and decadent and the sweet and salty bacon bits on top go so well with the smooth sweetened cream and the flaky pastry. It might sound crazy but, you have to try it. 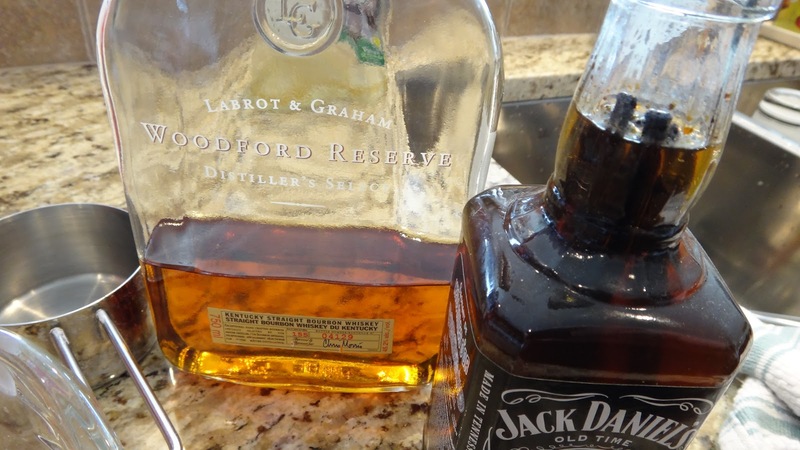 1-2 tbsp bourbon (I make my own bourbon vanilla so I used that- you just take a bottle of bourbon and split some vanilla beans & leave it. Lasts forever. Use good bourbon and real maple syrup for the best results. Step 1: in a food processor prepare pie crust. Add flour, salt and vanilla sugar. Pulse a few times. 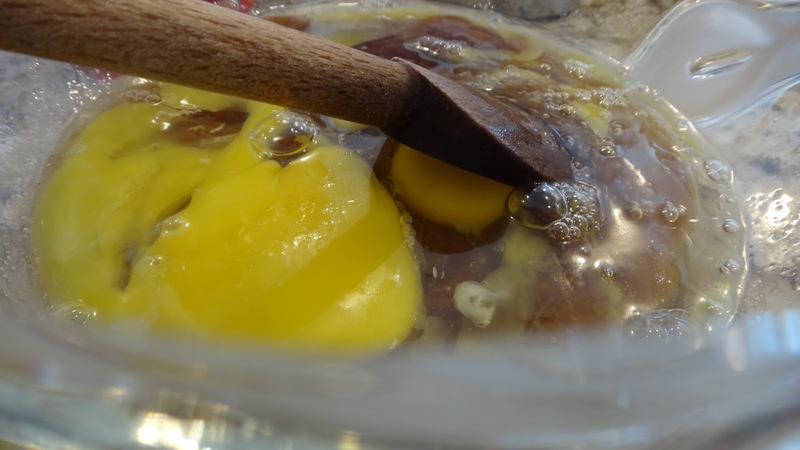 Add a stick of butter that has been cubed and frozen for 30 minutes. Pulse 10 times. Add 4 tbsp of ice water and pulse 5 times. If it needs the additional cold water add it and pulse 2 more times. It should look crumbly but, if you pinch it in your hands it will hold together. 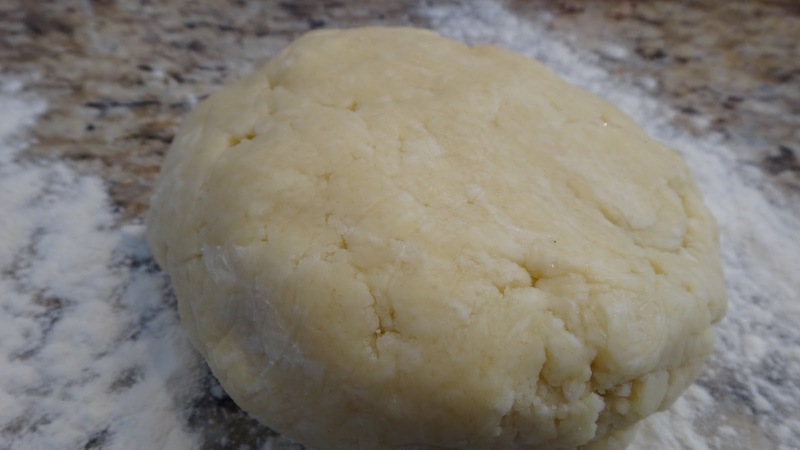 Do not over mix the dough to keep it nice and flaky. Pull everything out of the processor and quickly form a ball and wrap in plastic. 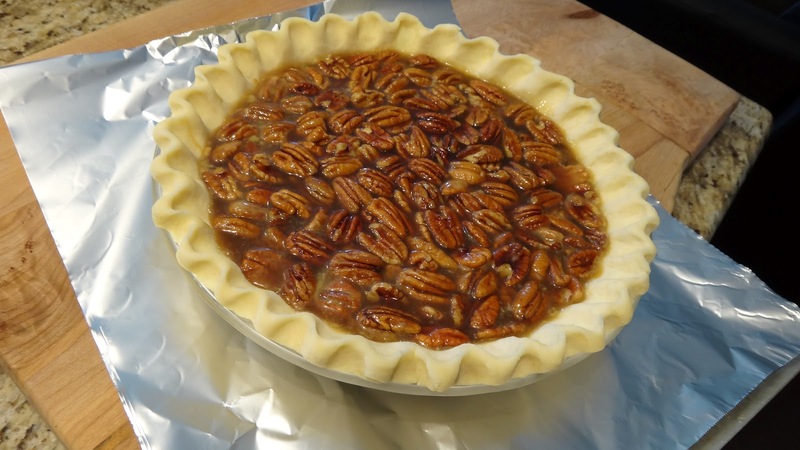 Keep in fridge at least 30 minutes while you prepare the filling and topping. 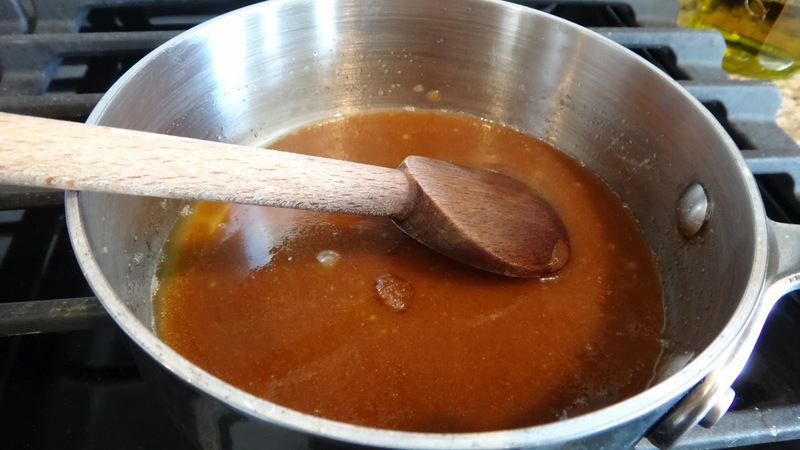 Step 2: in a small pot or in the microwave melt the butter and the brown sugar until smooth and dissolved. Takes like a minute. Step 3: in a bowl add the ingredients for the filling. 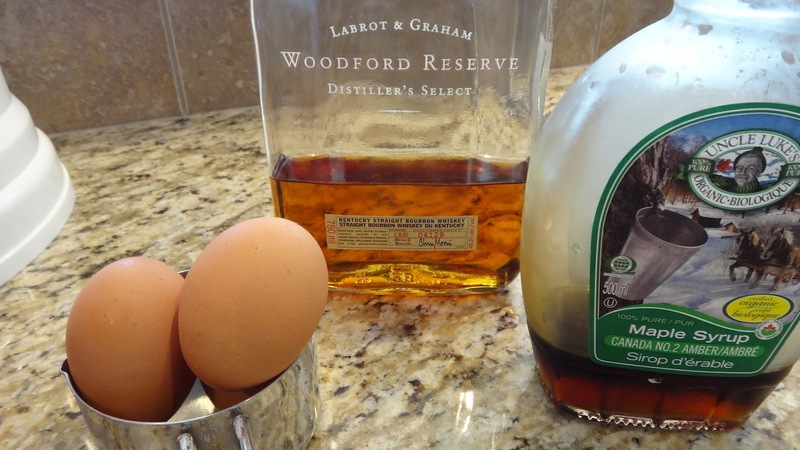 Add the eggs, maple syrup, bourbon, salt (I used Woodford Reserve) and vanilla (I had made some vanilla bourbon so I used that ) Whisk to make sure eggs get incorporated. 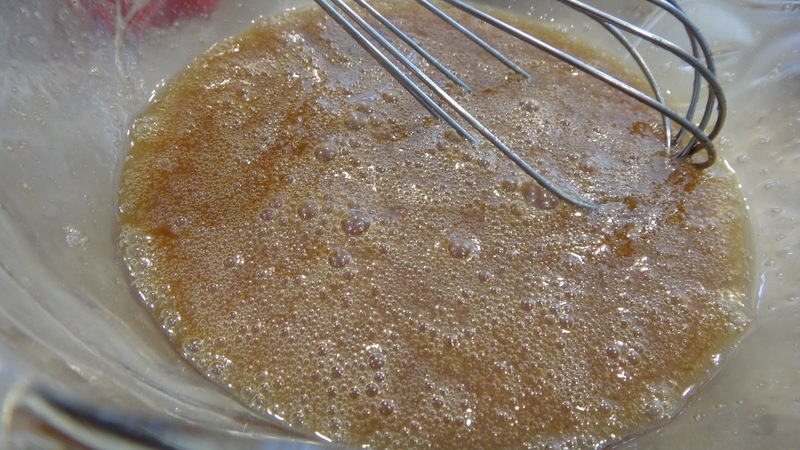 Add the slightly cooled butter and brown sugar and whisk to combine. 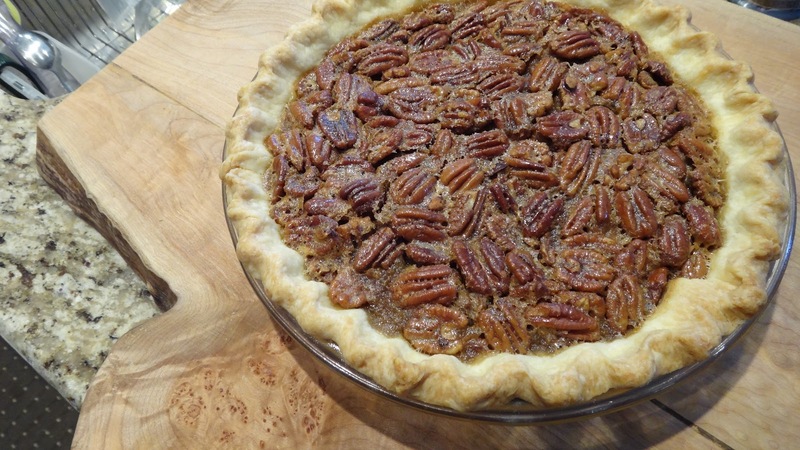 Add pecans stir and set aside. Step 4: Take out pie dough from fridge. 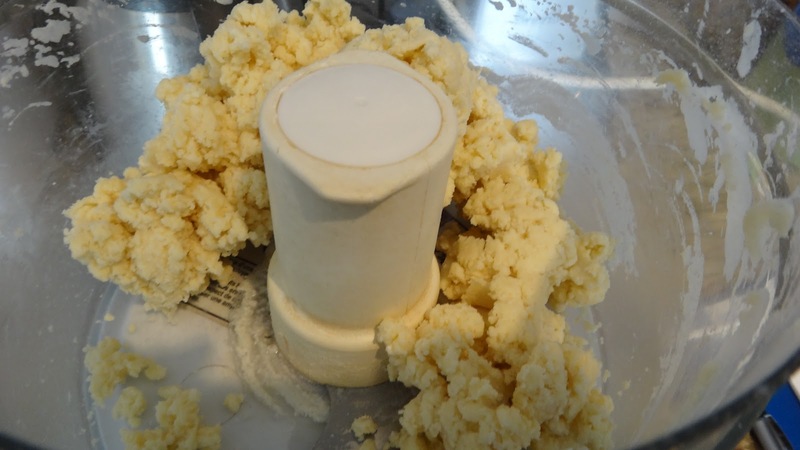 Roll out with a bit of flour to avoid sticking to rolling pin or counter. 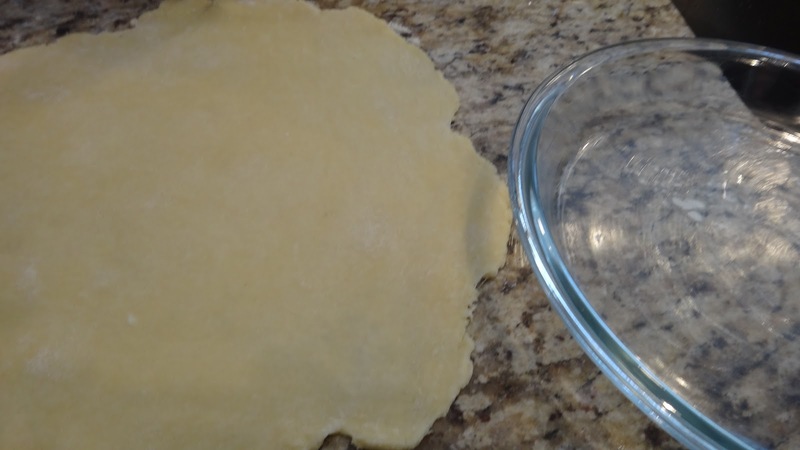 Roll to slightly larger than pie plate. I like glass because you can cut on it and it will not ruin the pan. It also cooks well and you can see if the bottom of the crust is browned and done. I have folded over the excess dough and created a basic crimped crust. Put crust in freezer for 30 minutes before baking. 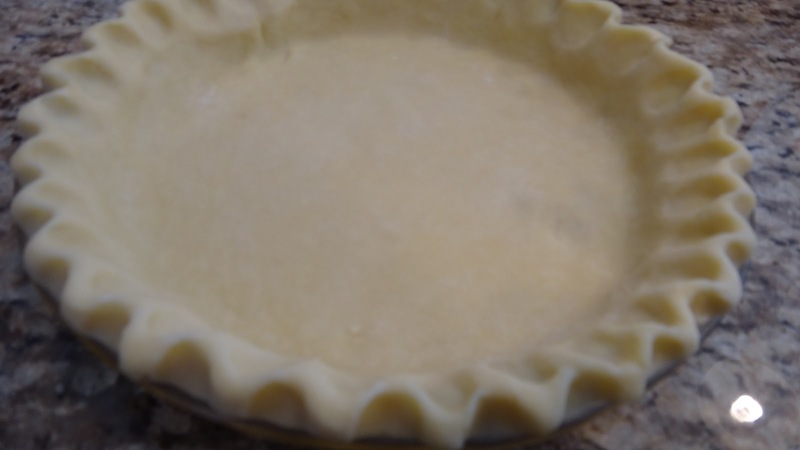 Step 5: pour pie filling in frozen crust and place on sheet to avoid spills. Bake for 1 hour at 350 degrees F. Watch it in the last 10 minutes to prevent burning if your oven bakes too hot. Once baked remove to cool. 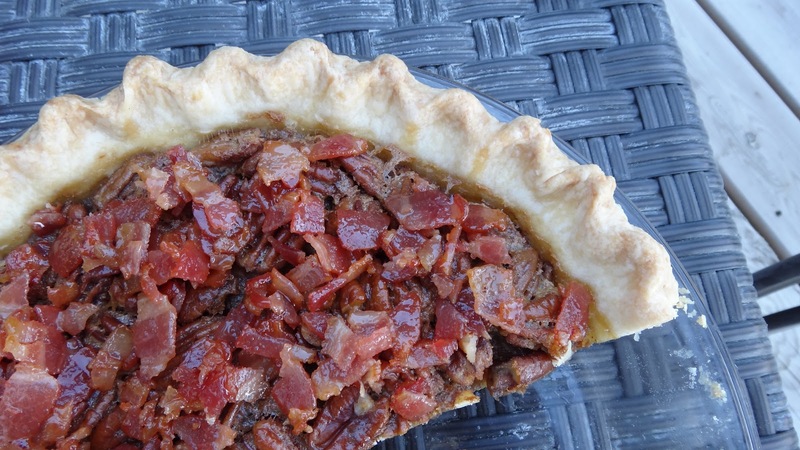 I like this pie warm but, you can also eat it completely cooled if you prefer. Step 6: whip cream with vanilla and sugar to make stiff peaks. 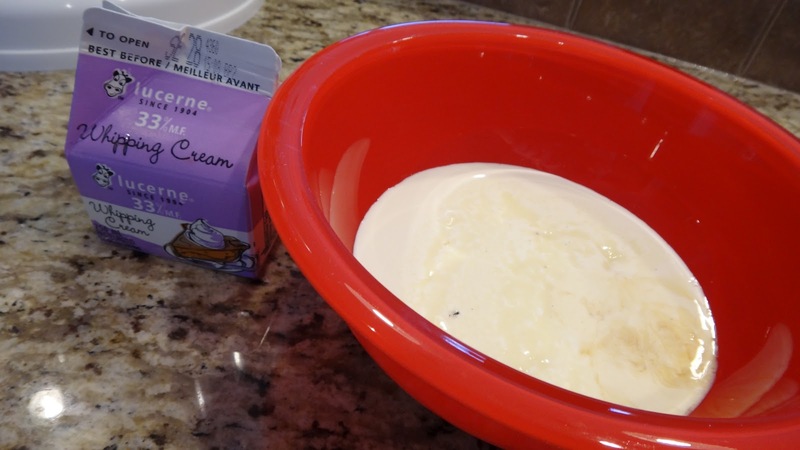 You can also add 1 tsp of powdered milk to keep the whipping cream from separating in the fridge. The dried milk stabilizes the cream but, if you don’t have it you can always re-whip it slightly when you are ready to serve. 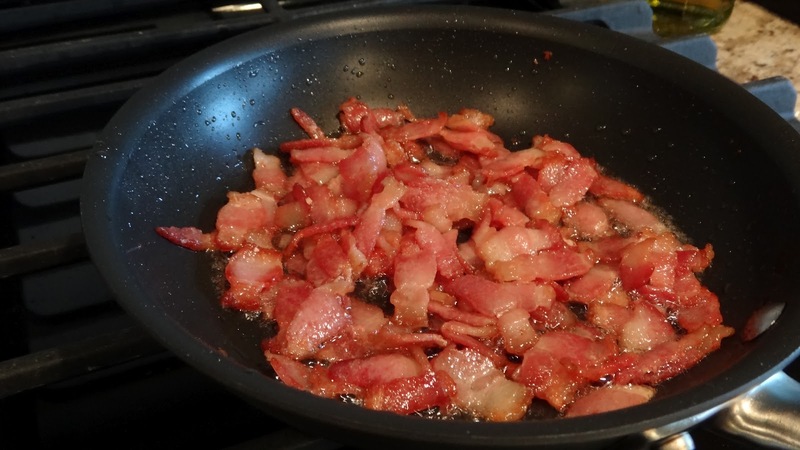 Fry your bacon on medium to low to avoid burning. I like it to be well cooked but, just before becoming crispy. 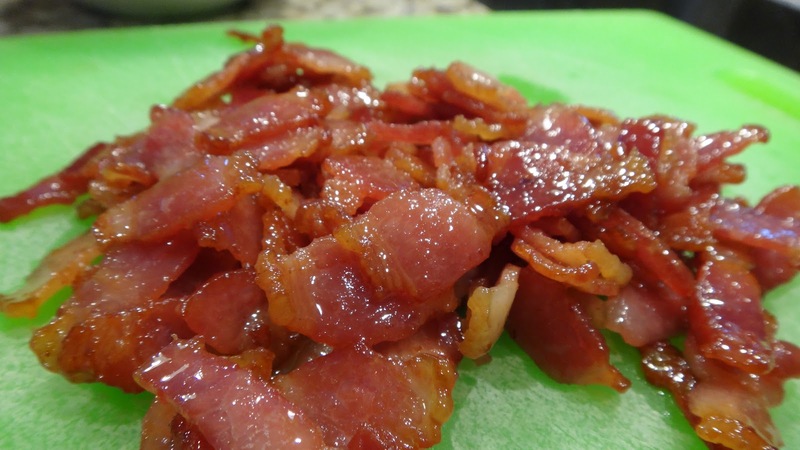 Once it is a minute before being done add the maple syrup and cook for a minute to coat bacon and get sticky. 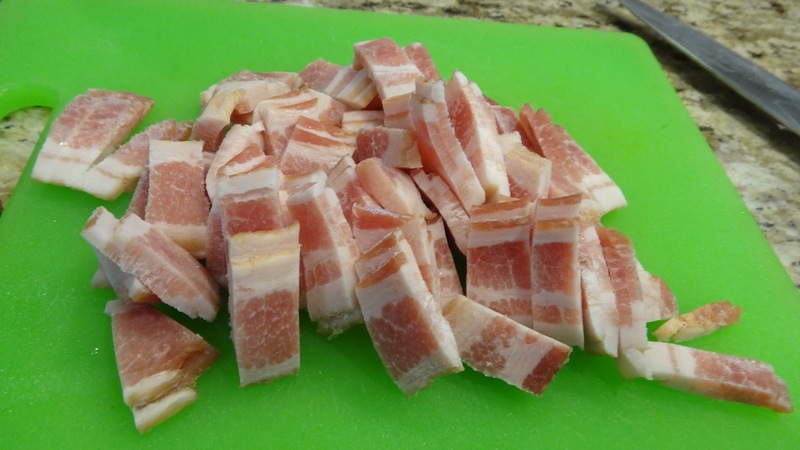 Drain on paper towel and quickly remove to another bowl or the bacon will cool and stick to the paper towels. I like the bacon to be sticky and chewy. slice and serve with sweet cream! !